Characters are central to our experiences of screened fictions and invite a host of questions. The contributors to Screening Characters draw on archival material, interviews, philosophical inquiry, and conceptual analysis in order to give new, thought-provoking answers to these queries. 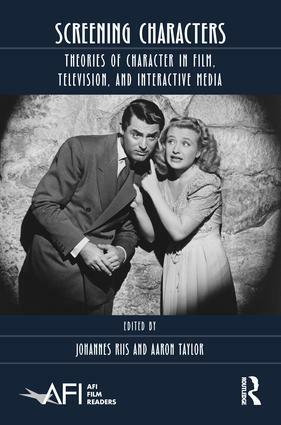 Providing multifaceted accounts of the nature of screen characters, contributions are organized around a series of important subjects, including issues of class, race, ethics, and generic types as they are encountered in moving image media. These topics, in turn, are personified by such memorable figures as Cary Grant, Jon Hamm, Audrey Hepburn, and Seul-gi Kim, in addition to avatars, online personalities, animated characters, and the ensembles of shows such as The Sopranos, Mad Men, and Breaking Bad. Johannes Riis is an Associate Professor of Film Studies at the University of Copenhagen. He has published extensively on issues of film acting, including a monograph (Spillets kunst: Følelser i film); articles in numerous journals and anthologies, including Cinema Journal, Projections, and The Routledge Companion to Philosophy and Film. A member of the Board of Directors at The Society for Cognitive Studies of the Moving Image since 2005, he is currently writing a book on film acting styles between 1920 and 1980. Aaron Taylor is an Associate Professor of New Media and a Board of Governors Research Chair (2019-2023) at the University of Lethbridge. He is the editor of Theorizing Film Acting, and his essays on performance have been published in numerous journals and anthologies, including Cinema Journal, Velvet Light Trap, [in]Transition, Quarterly Review of Film and Video, The Journal of Film and Video, Close-Up: Great Cinematic Performances Vol. 2, Make Ours Marvel, Millennial Masculinity, Acting and Performance in Moving Image Culture, and Stages of Reality. AFI Film Readers, published in cooperation with the American Film Institute, focus on important issues and themes in film and media scholarship.